We all went into the Brazilian Grand Prix thinking that Vettel’s faster car and higher qualifying spot than Alonso meant that he’d cruise to his third-straight World Drivers’ Championship. That lasted until Turn Four and we were treated to the best race of the season as Vettel came from the back of the field to barely win his third Championship. Things started badly for Vettel as soon as the lights went out. He dropped from 4th to 7th while Alonso jumped from 7th to 5th. When the field reached Turn Four, he was punted from behind by Bruno Senna and was lucky to escape with only a damaged floor ahead of the left-rear tyre. Senna and Sergio Perez both retired as a result of the collision. Up front, Alonso took charge in the championship at the start of Lap Two. He took both Felipe Massa and Mark Webber into Turn One to move up to 3rd and ahead of Vettel by two points. The rain then started which aided Vettel as Alonso was caught off-guard by slick conditions and dropped to 4th behind Nico Hulkenberg who charged up the field in dampening conditions. Vettel, himself, charged back into the points before almost everyone changed to intermediate tyres. I say almost everyone changed to inters because Jenson Button led on slicks followed by Nico Hulkenberg. The Hulk stalked Button for eight laps before finally getting by for the lead. 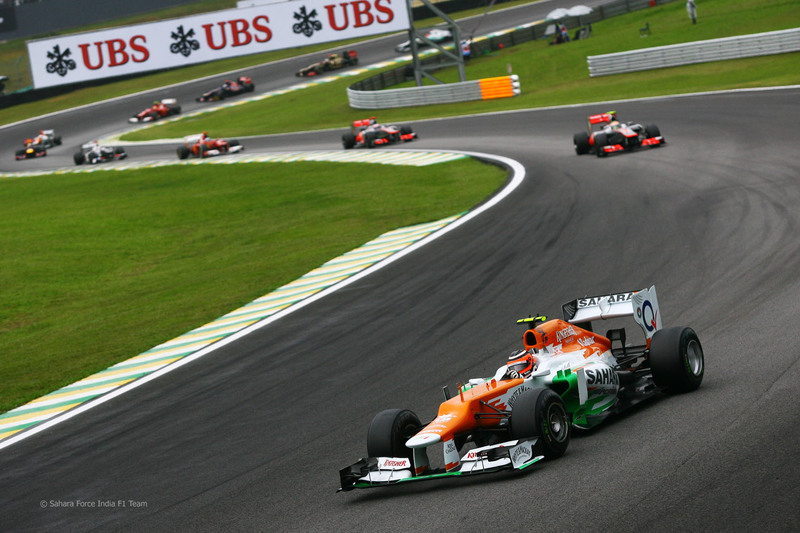 Surprisingly, the Force India driver was able to hold the lead for 30 laps including a safety car period caused by all the debris that had accumulated over the course of the first 23 laps of the race. Around Lap 44, the rain starting increasing again. This caused Hulkenberg to spin on his slick tyres and hand the lead to Lewis Hamilton who got by Button after the preceding safety car team. Hulkenberg quickly reeled Hamilton back in but the pass didn’t go so well. The Hulk smashed into Hamilton on the wet tarmac which ended Lewis’ McLaren career and resulted in a drive-through penalty for Hulkenberg. That handed the lead to Jenson Button and expedited cars pitting for intermediate tyres. Alonso lost a position to Massa but that was quickly rectified and found himself in 2nd after Hulkenberg’s penalty. Unfortunately for Alonso, Vettel was able to stay in the points during the chaos which meant that his podium wasn’t enough to win the title against Vettel’s 6th place. 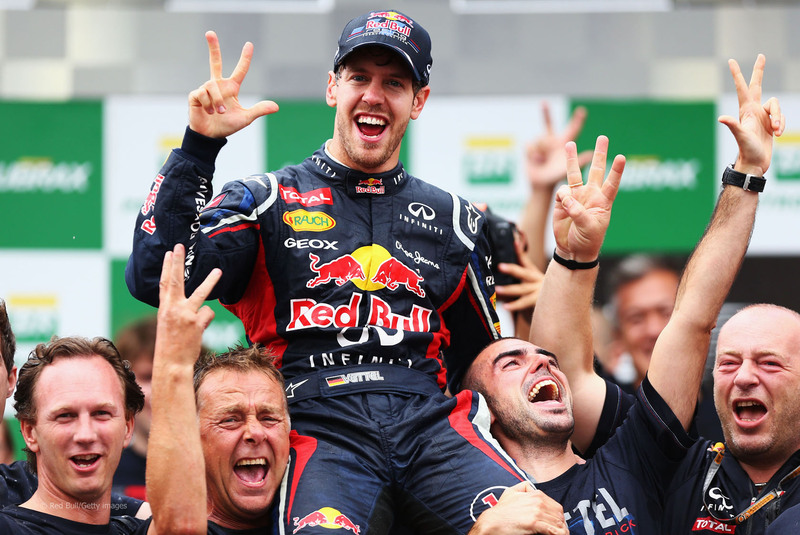 That gave Vettel his third World Drivers’ Championship by only three points. Button’s win was his third of the season and McLaren’s seventh gave the team the same number of wins as Red Bull. Alonso’s second meant he closed the season with five-straight podiums but it wasn’t enough to win the title. Felipe Massa finished third in front of his home country fans. Webber and Hulkenberg rounded out the top five. Sebastian Vettel finished 6th ahead of retiring countryman Michael Schumacher. Jean-Eric Vergne, Kamui Kobayashi and Kimi Raikkonen completed the points-paying positions. Vettel’s third World Drivers’ Championship victory was the closest of his career. His three-point margin of victory was just marginally closer than his four-point margin of victory for his first title in 2010. Each of those razor-thin margins were over Fernando Alonso. Interestingly, the only man who Alonso has ever finished second to in the World Drivers’ Championship standings is Sebastian Vettel. Kimi Raikkonen finished third in the standings in his first year back in Formula One after two years away from the sport. Despite retiring in his final McLaren race, Hamilton finished 4th ahead of teammate Button in 5th. Last weekend, Red Bull clinched the World Constructors’ Championship but the battle down the rest of the field was far from over. Ferrari’s double podium was enough to scrape out second place ahead of McLaren by 22 points. While that seems like a sizeable gap, McLaren was ahead of Ferrari during the race. Lotus finished 4th with more than double the points than 5th-placed Mercedes. Among the new teams, things fell in place just right for the Caterham team. Vitaly Petrov was able to get by Charles Pic late in the running and took 11th place. That was the best finish this team had in three years and enough to earn the team 10th place in the Constructors’ Standings which makes for a nice pay day. This race marked the final race of Michael Schumacher’s Formula One career. This won’t be a long retrospective on Schumacher’s career as I plan on writing a full column on him when I have more time to dedicate to it. For now, it’s safe to say that Schumacher ends his career as one of the all-time greats. We can argue all day as to whether Schumacher was the greatest of all-time or if it was Senna or Fangio. However, one thing that shouldn’t be factored into the debate is Schumacher’s comeback. Sure, he usually had the best equipment on the grid when he was in his prime but Senna and Fangio both drove great cars to championships. Schumacher’s comeback was hampered by driving a slow car that didn’t contend for podiums until this season. Even then, it felt like he had more reliability problems during three years at Mercedes than his first 15 seasons in F1. It’s only fitting that Sebastian Vettel won a record-setting title yesterday as the man who rewrote the record books took his final checkered flag. It looks as though it’s all over for HRT. Spanish newspaper Marca and BBC Radio’s James Allen both report that HRT served all of its employees redundancy notices (the European equivalent to what we North Americans call pink slips) in the week since the US Grand Prix. HRT was a victim of several factors. When applying for a spot on the grid for 2010, the FIA was pushing forward with aggressive budget caps that would have allowed them to be fairly competitive since teams would have limited to spending around £30 million (about $60 million) rather than five times that as the top teams spend. Being left on the back foot without that budget cap to level the playing field was compounded by the fact that their home country of Spain was the second hardest hit country by the “Euro crisis” economic recession. That effectively eliminated any hope for picking up local sponsorship to fund the team. Thesan Capital, the majority owners of HRT, have said that they’ve been in discussions with interested buyers of the team but there hasn’t been any news or rumours indicating an imminent sale of the team. 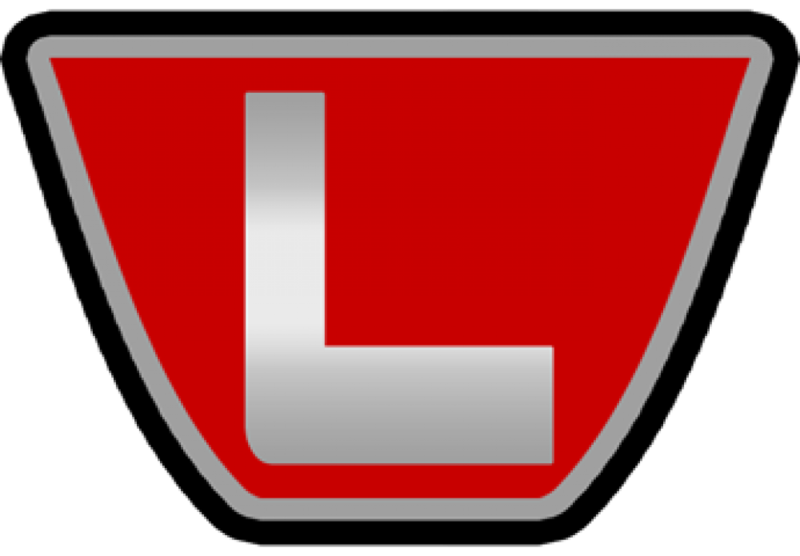 The team entered F1 under the now false pretence of a budget cap and was done in by the elimination of the cap and Spain’s economic collapse. Since the FIA isn’t interested in adding a 13th team to F1, I doubt we’ll see a 12th one replace HRT any time soon. It was better news at Lotus. The team has already brought in some new since Genii Capital rebranded the former Renault team as Lotus F1. They brought in Unilever (one of the biggest companies in the world) under their Clear brand and Microsoft with their Dynamics accounting software. 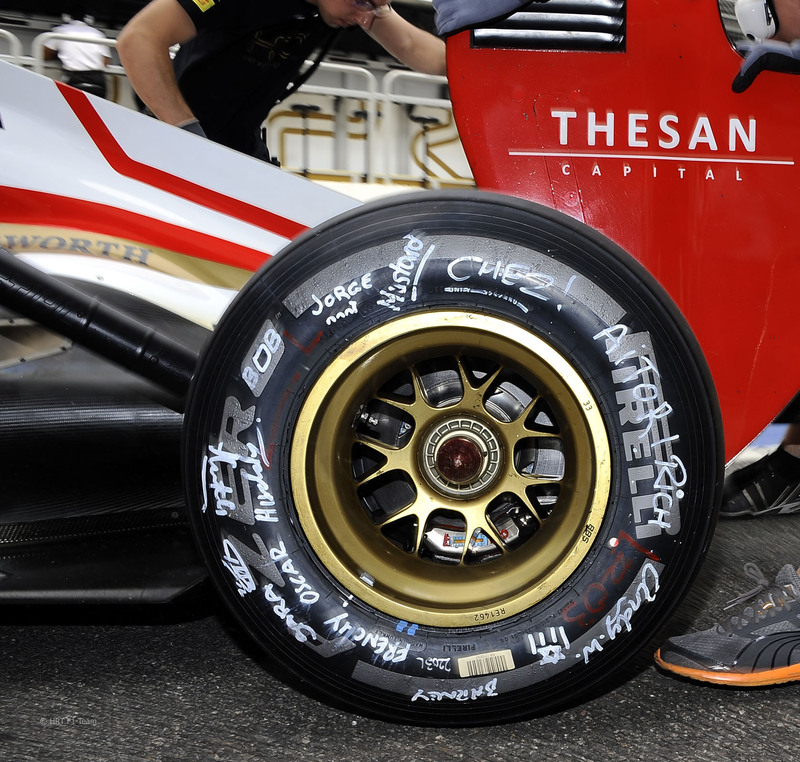 Starting in 2013, Lotus has scored what is called one of the biggest sponsorship moves in recent F1 history. They’ve brought Coca-Cola into the sport thanks to sponsorship and branding from Coca-Cola’s Burn energy drink. Most F1 journalists though Coca-Cola would never enter F1 because they have a big enough brand identity that they didn’t need to spend tens of millions of dollars on F1 sponsorship. However, by entering with an energy drink, they’re able to effectively compete against Red Bull on the track. Signing up with Lotus is probably cheaper than McLaren or Ferrari but still getting Burn on a competitive car. Prior to the weekend, Sauber said that they would announce their full 2013 driver lineup during the weekend. On Thursday, Sergio Perez got bored with making everyone wait so he spilled the beans. In a move that should surprise no one, joining Nico Hulkenberg at Sauber next year will be Esteban Gutierrez. Like Perez before him, Gutierrez has backing from Sauber’s primary sponsor Telmex. When Telmex said they weren’t bailing on Sauber as a result of Perez’s move to McLaren, everyone knew that Telmex was angling to get Gutierrez in a race seat. That leaves Kamui Kobayashi without a ride in F1 for the moment. Gutierrez will no doubt carry with him the stigma of being a pay driver. Considering that Sauber needed money from Kobayashi to continue in a race seat, even if Gutierrez has won GP2 this year, he would have needed Telmex’s help to secure a Sauber drive. This isn’t to say that Gutierrez isn’t a good driver. He won the GP3 title in 2010 and finished 3rd in GP2 this year. The only other drivers who graduated to F1 after having a best GP2 points finish of 3rd was Scott Speed. He had a long and successful F1 career, didn’t he? The driver market carried on beyond Gutierrez’s signing with Sauber. As had been rumoured for months, Caterham signed Charles Pic from Marussia on a multi-year deal. As had been expected after the Abu Dhabi Young Drivers’ Test, Robin Frijns signed with Sauber as the team’s test and reserve driver. 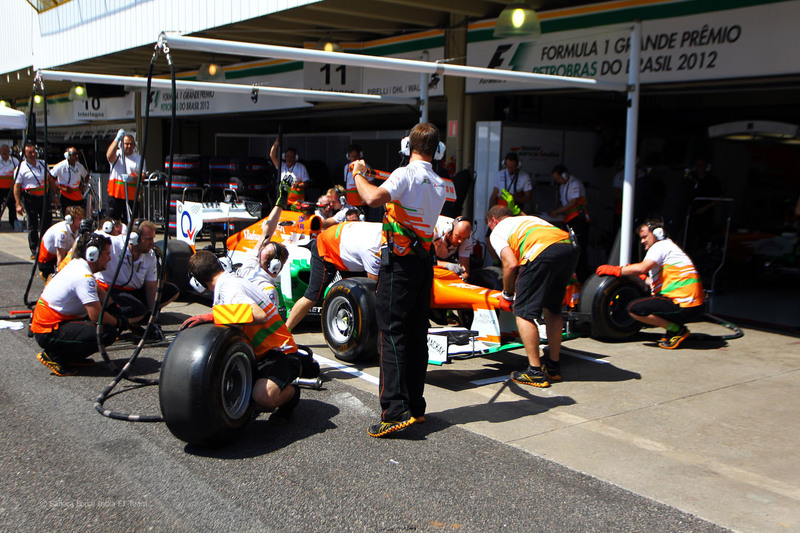 With only four seats left, speculation is only really running rampant over the Force India seat. Most speculation has that drive down to a battle between test driver Jules Bianchi and current Williams driver Bruno Senna. Bianchi might be in better with the higher-ups at Force India but Senna is believed to bring between two and three times as much sponsorship to the team as Bianchi. Considering that team owner Vijay Mallya’s Kingfisher Airlines isn’t in the best financial condition, Senna’s money might tip things in his favour. Elsewhere, Marussia is expected to sign Max Chilton to team with Timo Glock. Valtteri Bottas is likely going to be promoted to a race seat with Williams. Caterham is expected to drop both of this season’s drivers and put Giedo van der Garde into the race seat alongside Pic. That last one surprises me because Caterham will have 20 Grands Prix worth of experience to start next season which isn’t how I would run a back of the pack team. 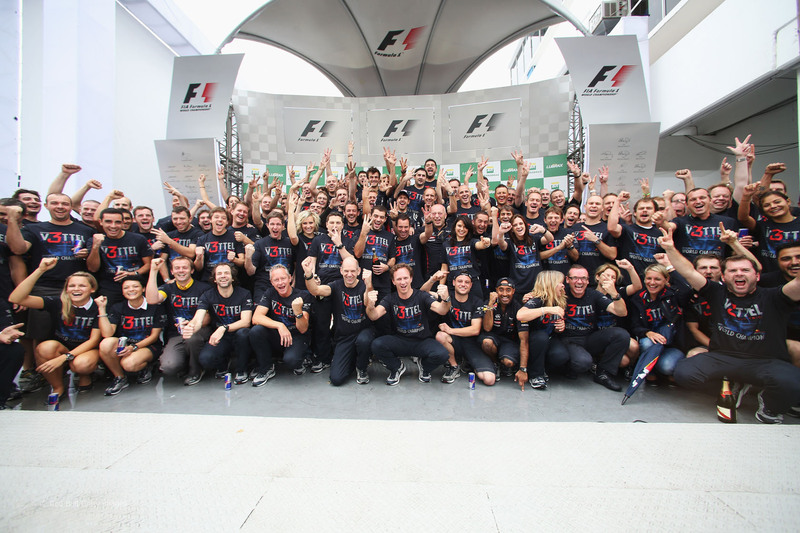 That wraps up the 2012 Formula One World Championship. While the finish to the championship wasn’t as spectacular as 2008, from start to finish, this was one of the most spectacular seasons of Formula One ever. The parity and unpredictability made this season an absolute joy to watch and write about. We’ll be back during the off-season to cover big news and with a few columns about F1. Until then, don’t get stuck behind Narain Karthikeyan.